The Secret Life of Walter Mitty isn't billed as a love story. It's an adventure story, a travel story, a story of leaving home. Within the first scene, I thought I could guess the rest of the movie. Walter (Ben Stiller) would set out, have adventures, become interesting, and then Cheryl (Kristin Wiig) would fall in love with him because he was no longer boring. After watching this movie, I began researching airfare to Reykjavik. 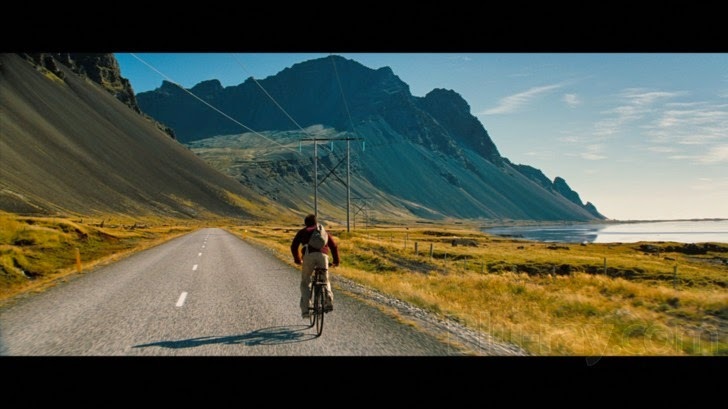 About halfway through Walter Mitty I began to realize that it is a different sort of romance. As Walter skateboards in photographer Scott O'Connell's (Sean Penn) footsteps, he doesn't become someone different. He lives an adventure he has hoped for since he was a teenager. Walter gets to experience a long-term dream, but does not completely change his personality. Additionally, though he daydreams frequently around Cheryl, his interactions with her are natural. The film doesn't push him from "silent obsession" to "in a relationship." It pushes him from "chatting in the elevator about work" to "asking her on a date," a much more realistic progression. Yes, the film has a requisite misunderstanding surrounding Cheryl's ex-husband, but it does not cause accusations and angst. Once Cheryl and Walter have the opportunity to talk, she clears up her relationship status right away. When Walter returns to New York and asks Cheryl to his sister's play, she says yes because she has liked him all along. If he had asked her out when he was working in Negative Assets at Life, she would have said yes. Their romance isn't predicated on one of them changing to be more interesting or more attractive. They just like each other, and the movie allows them to see where that goes. Watch The Secret Life of Walter Mitty to see a believable love story. Watch it for incredible views of Iceland. Watch it to see a man decide to make the life he wants. At the very least, watch it to see Adam Scott play a complete jerk with a ridiculous beard. 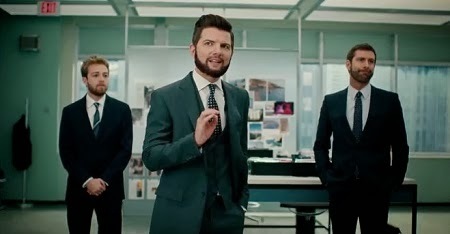 As soon as you see that beard, you know Adam Scott is playing a villain. Also, the soundtrack is amazing.